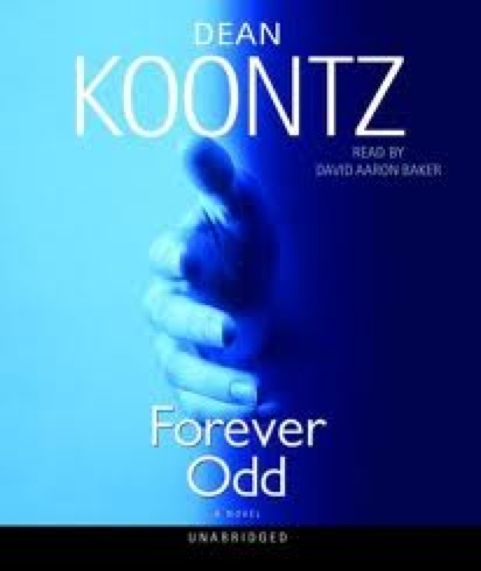 I finished Forever Odd by Dean Koontz yesterday afternoon. It is the second of his books that I’ve read- despite the rather passionate advice of one of my subscribers to forget about Dean Koontz, Odd Thomas and The King altogether, I went ahead and read the novel anyway. It was interesting and featured some of the same characters, which I was happy to catch up with. It also introduced a most dislikable woman who I was hoping would meet her demise with every turn of the page. Conceivably, she was supposed to annoy. She did. I finished the book in a day and a half. However, I would be remiss not to admit that I liked the first one better. I’m not wanting Odd for my boyfriend anymore. It’s no party to have your lover be hopefully in love with his ex… At least that’s what I HEARD.